Please enjoy the following press release from Color Club! August 2011 - New York, New York - Color Club, the veteran nail color brand announced today the launch of a Limited Edition FNO Red Nail Polish. Created for Vogue Magazine and in celebration of Fashion’s Night Out, Color Club’s FNO red will be sold individually, and as part of Color Club’s Limited Edition FNO Nail Duo– FNO Red paired with Color Club’s Black Fractured polish. What better way to celebrate Fashion’s Night Out, than with a long-wearing formaldehyde, toluene, DBP, and paraben-free shade of red. 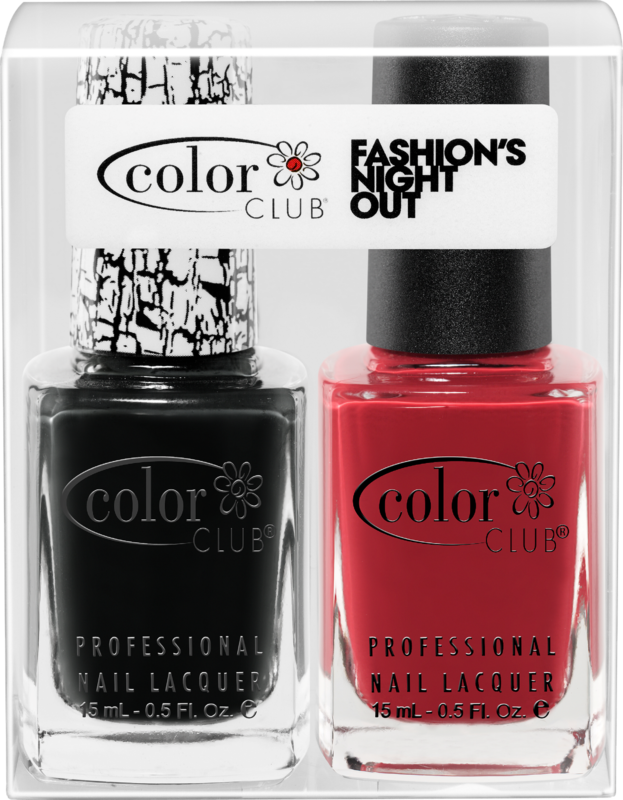 Pair it with Color Club’s Black Fractured Nail Polish for the ultimate FNO-worthy look. A favorite of celebrity manicurists and nail color fans worldwide, Color Club is renowned for its high performance rich shades and exceptionally safe products. From the brightest neons, to glitter and French, all nail colors are vegan, Formaldehyde, Toluene, DBP and paraben-free - and made in New York, NY with the best raw materials. Color Club products are never tested on animals. Products are available at shopcolorclub.com. *A portion of proceeds from the sales of FNO Red will benefit the New York City AIDS fund.